Can You Keep a Credit Card During and After Bankruptcy? Credit cards make life easy. You never have to worry about having enough cash on you, and you can even make a purchase that you know you can’t afford today but will pay off over time. However, the ease and convenience of credit cards is probably one of the main reasons you are visiting a bankruptcy law firm’s website. Many of our clients have credit card debt—sometimes, staggering sums of debt. Nevertheless, being able to keep one or more credit cards even after a bankruptcy would be helpful and certainly make your life easier. So, can you keep some credit cards after filing for bankruptcy? A credit card is a form of revolving credit, and is, at base, a contract. However, you need to list all of your financial contracts in your bankruptcy petition. This includes your credit cards. 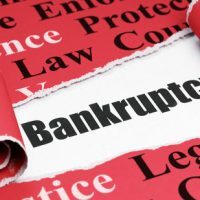 When you are discharged from the bankruptcy, your financial contracts will be canceled. This means that your credit card company no longer has a contract with you. As a result, they will not be able to sue you if you decide to run up charges and stop paying. So, it makes sense that the bank will cancel your credit cards. It is the smart move for the bank to make. There is an option to keep a card—reaffirmation. Basically, you agree to a new contract with the creditor, which means the debt is not wiped out. You also keep the card. You will then repay the debt according to the new terms of your contract. However, reaffirmation is practically never a good option with credit card debt. Instead, reaffirmation only makes sense if you are trying to keep an asset that is used as collateral for a loan, such as your car. Get a debit card with your bank. The card is linked to your checking account, and whenever you use it the bank withdraws the money from the account. Debit cards require a four-digit PIN, so they differ slightly from credit cards. But you can usually use them in the exact same places you would have used a credit card—grocery store, pharmacy, gas station, etc. Get a secured credit card. This card is also linked to a bank account. For example, you deposit $1,000 into an account and you get a credit card with a $1,000 limit. The money won’t be withdrawn from your account with each purchase, but it acts as security in case you default. If you are looking for a secured credit card, always ask whether your payment history is reported to the credit bureaus. This can be an excellent way to begin building your credit back up. Before too long, you’ll qualify again for an unsecured card. Nowack & Olson is a leading bankruptcy firm in Plantation. If you have a question, please contact us for a free consultation by calling 888-813-4737. Our consultations are confidential, so there is nothing to lose.